Following an open day and several open meetings, attended by many members of the Parish, discussions took place regarding a Neighbourhood Development Plan Questionnaire. Members of the Steering Group debated the content of the questions to ensure that the questionnaire reflected the needs of all the residents in our Parish. 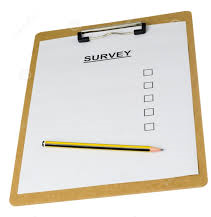 You will be pleased to hear that the Questionnaire has been completed and produced by Data Orchard, thanks to the professional skills of Chris Gooding. The plan will then be the subject of referendum, requiring a vote in excess of 50% in favour, before it can finally be adopted. The whole process is derived from the Localism Bill (passed by the Government in 2011) and when formally adopted, the Neighbourhood Development Plan will, by law, be given equal parity to the Herefordshire Council Core Strategy (which is currently being scrutinised) in determining any future development in Tarrington. Although housing is the key issue, the Questionnaire will also give residents the opportunity to express preferences regarding the development of places to work, the use of open spaces, and the possible development of local facilities and amenities.